Business transactions, especially those involving payment in money, have to be properly recorded. A receipt example is one of the few documents which enables one to keep a record of the transaction. Receipts often serves to prove that a certain amount of money have been received in exchange for rendering goods and services. Such exchange happens to service providers and clients. In some cases, this exchange happens between one business and another. What Is a School Receipt? 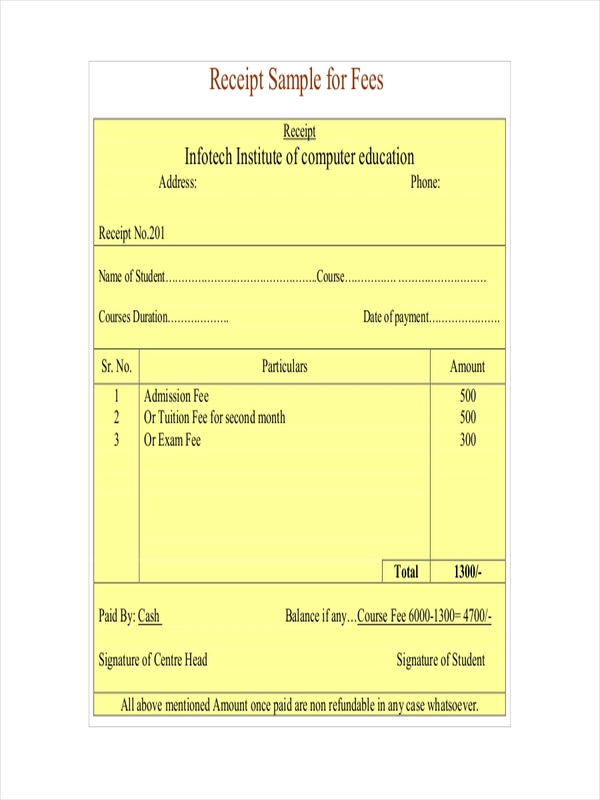 A school receipt is a receipt used during payments to an educational institution. Such payment is often done by a student for certain school fees or contributions. 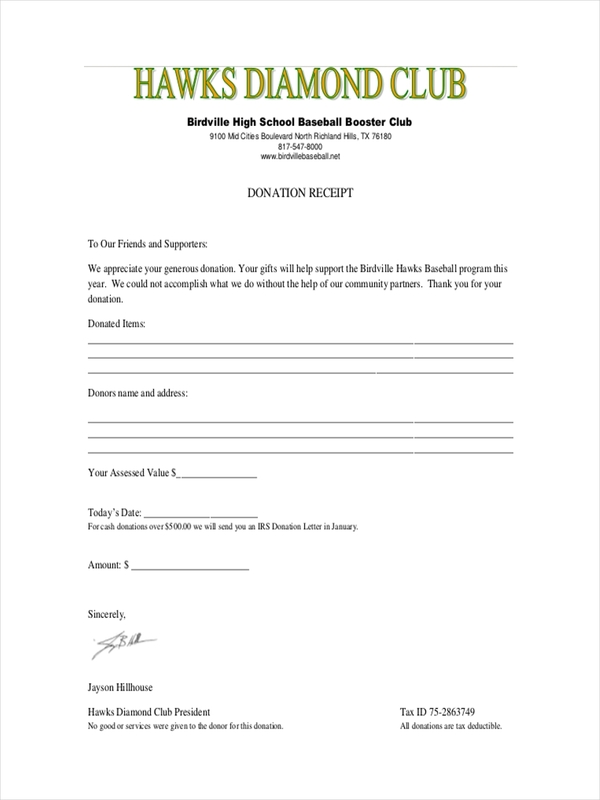 At times, a school receipt may contain a few additional information, such as the student’s personal information, and signature or stamp of the cashier or collecting officer. 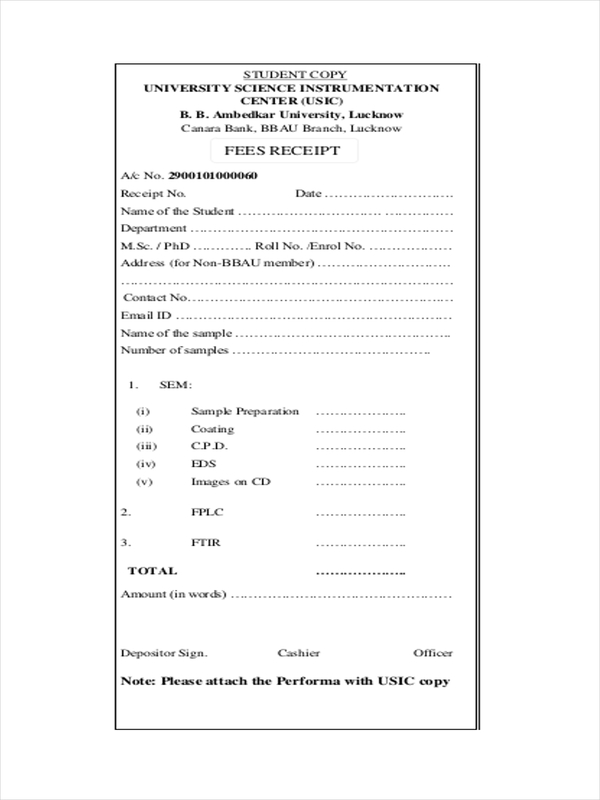 A school receipt sample receipt that a student has already paid for a certain school fee. Receipts can be really useful, especially during instances when the collecting officer fails to record the payment. 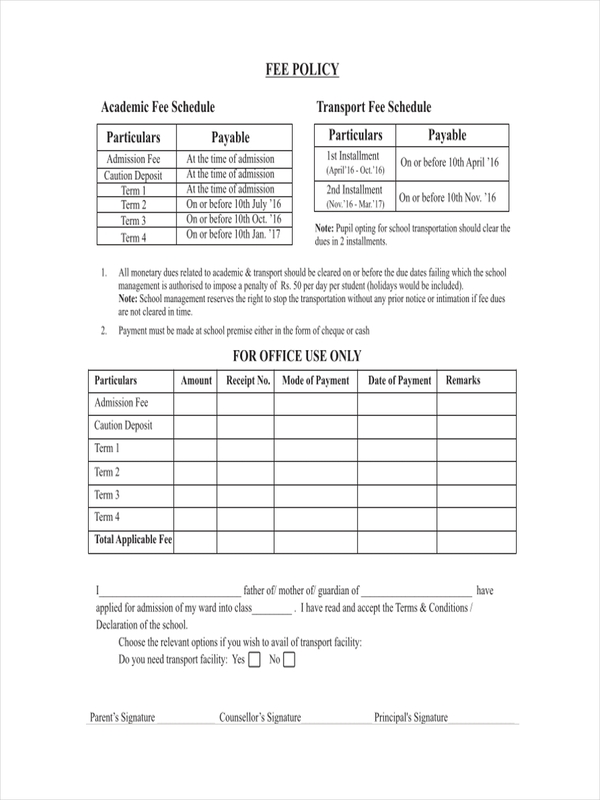 At times, teachers include receipts in student requirements upon enrollment or admission. Also, schools keep a copy of the issued receipts in order to keep track of all the payments made by the students and other paying parties, and of course, in auditing the school’s finances. 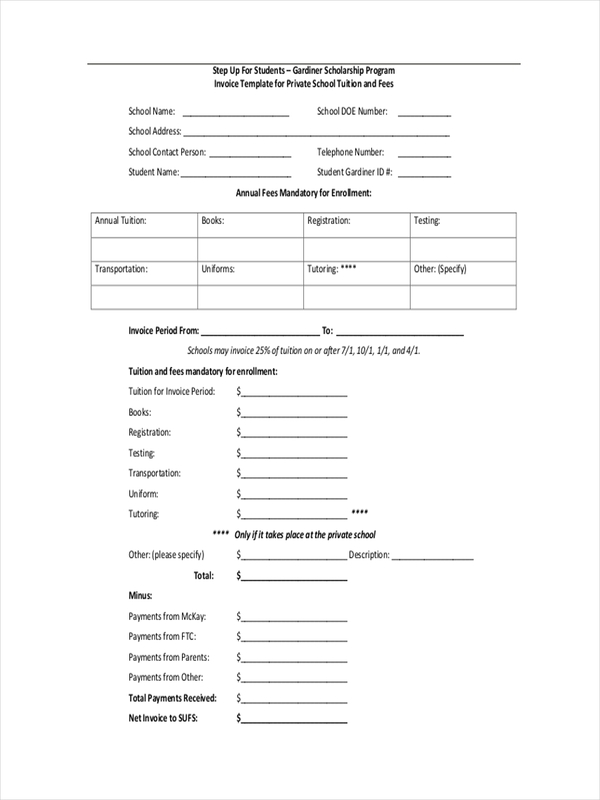 School staff, especially those assigned in the school’s accounting office therefore needs to be informed of a school receipts importance in every transaction. 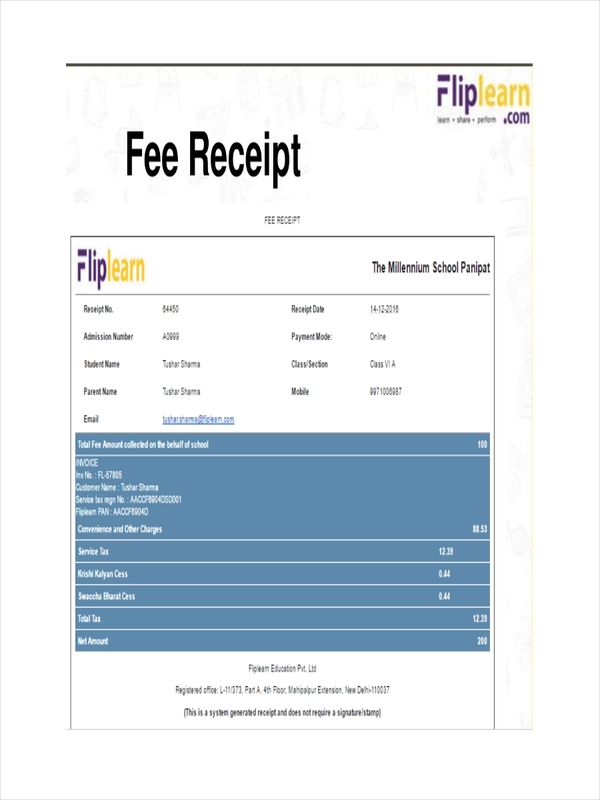 As mentioned earlier, receipts are important to the school and the students, and therefore is a must have. Receipts can be easily made online, and can be easily purchased. Identify the type of receipt. After doing so, write this information on the heading part of the receipt. Decide on the template or appearance of your receipt. 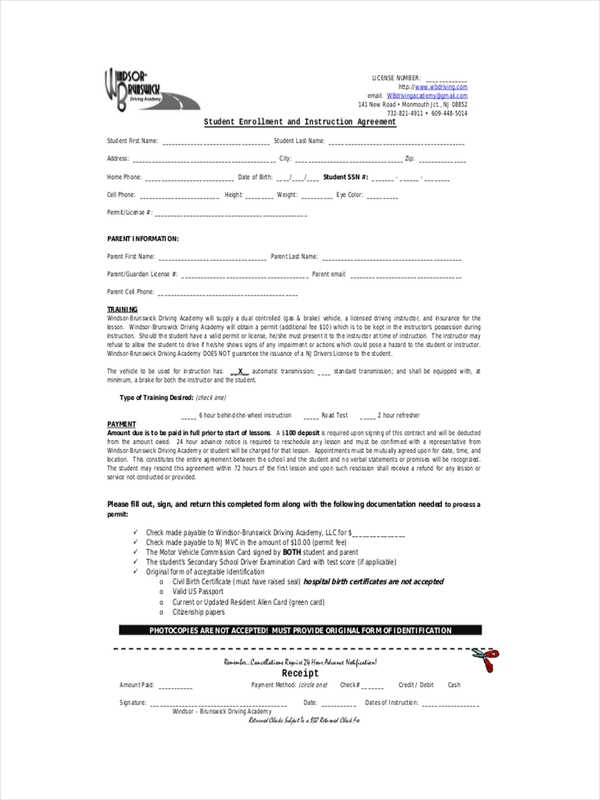 You can find downloadable templates and receipt examples in this source. But if you want to create one, you’ll find tools online that are easy to use. Enter receipt information. If you are creating a blank receipt, write the necessary information to be included (e.g. name of school). Print your receipt. You can easily print your receipt and write the payment details by hand, or input the payment details on your computer. Either way, you need to print your receipt. Make sure to create another copy of your receipt. One is for the paying party, and another for record keeping. Write other relevant information in your receipt. If you think it’s relevant, include it in your receipt. Indicate a space for signatures. This is where the collecting officer will sign. Provide another space for the paying party. Review the information written in your receipt before printing.